I get it! Circumstances can leave us exhausted, broken and rock us a bit. But remember, Jesus asks, "Where's your faith?" Luke 8:25). Where do you place your faith when your storm rages? In whom do you believe? What does that faith and belief mean in the center of that storm? 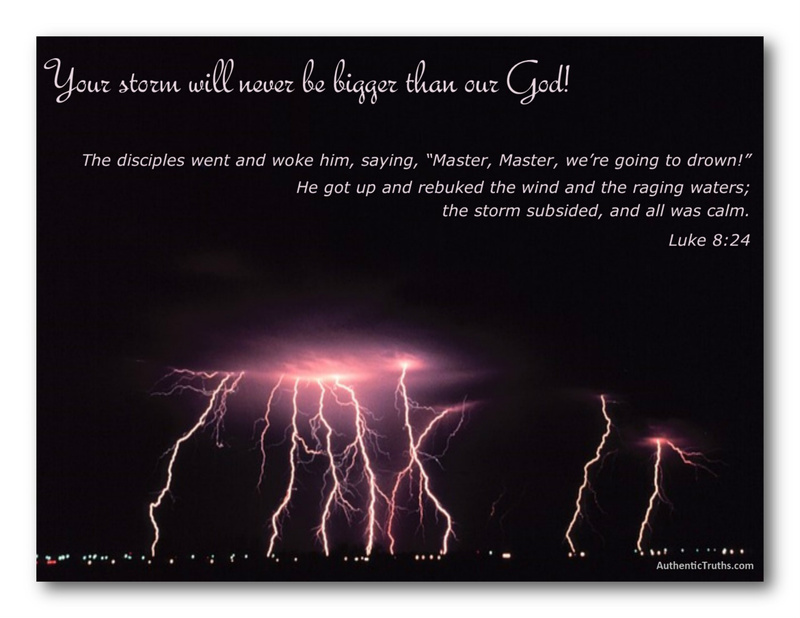 His power is greater than you can ever imagine, and can calm any downpour, disturbance or blast of the unexpected! Believe!